New wallet update features multi-currency support. Today, the Crypto.com team is pleased to release a new update on our Wallet App (iOS 2.20 & Android 2.4.2). Multi-currency support: We have added three new display currencies to the Crypto.com Wallet and Card App — British Pound (GBP), Euro (EUR), and Singapore Dollar (SGD). 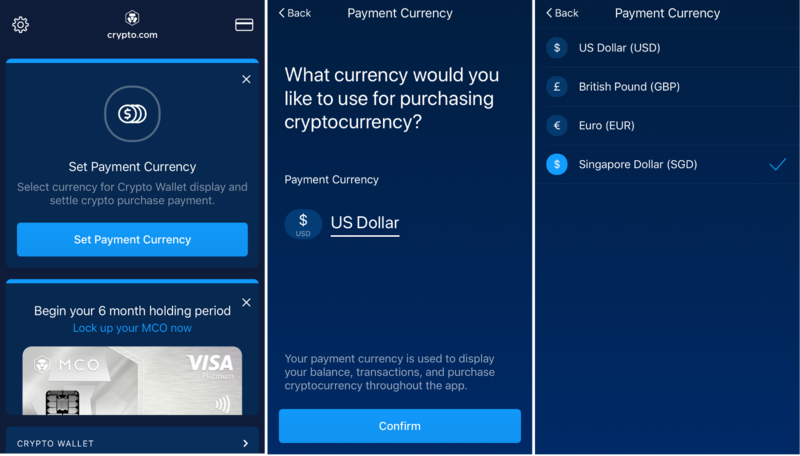 Users will now be able to select one of the four currencies available as their display and purchase currency including the existing US Dollar (USD).